Let us get you into your dream vehicle this year! We have some amazing offers at All Star Dodge Chrysler Jeep Ram to help get your year off to a great start! Stop by our dealership in Denham Springs, Louisiana, right off of I-12 across from Bass Pro Shops. Ride into 2018 in style with a brand new 2018 Jeep Cherokee for only $19,990! Have you been eyeing the new Jeep Renegades?! Well now is your chance to get your hands on one! Ride out in a brand new 2017 Jeep Renegade for only $18,900! Check out the new 2018 Jeep Grand Cherokee Limited! We are offering up to $7,000 off of the MSRP! This offer speaks to all of you outdoor enthusiasts out there! Come in and get your all terrain 2017 Jeep Wrangler Unlimited Rubicon with up to $5,000 off of the MSRP! Hurry in and take advantage of these amazing deals while they last! The entire All Star Dodge Chrysler Jeep Ram family would like to wish you and your family a very happy holiday season! We thank you for your support throughout this year and the past years! We hope this holiday season is filled with joyous memories and happiness! We are so grateful to provide automotive services to this community, and hope to be your go to Dodge Chrysler Jeep Ram dealership for life. Hurry in during our business hours to take advantage of amazing deals and savings! If you are in the market to make that special someone dreams come true, then All Star Dodge Chrysler Jeep Ram is the place for you! Happy Holidays from the All Star Dodge Chrysler Jeep Ram team, and a Happy New Year! The best year has yet to come! The fall festival season is in full effect! This is the time of year to get outdoors and attend all the outdoor festivities that our community has to offer. The beautiful foliage is a lovely scene during daylight hours, but the real fun happens in the evening under the dark skies. With Halloween being around the corner, there are some spooky festivals to partake in. The annual 4-day Halloween Fifolet Festival in Baton Rouge is on October 26-29th. There will be tons of events throughout the festival! From outdoor activities to the pumpkin Pi 3.14 mile race, we are sure you will enjoy all of the events and food offered! This is one Halloween block party you do not want to miss out on! Check out their website for information on events and more at https://1031consortium.com/index.php/fifolet-halloween-festival/. There are a lot of fun activities happening this Halloween weekend. Halloween would not be complete without the proper celebration before the spooky night! With the right tunes and food, you will be all set this weekend at the events happening around the Baton Rouge and New Orleans areas. Are you looking to elevate your next tailgating party? Well we are here to give you a few tips that’s going to give you an edge in the competition. Tailgating is not only about football, but it is also about the food that is being served out there! This tradition has turned into its own sport, outside the sport of football. We have gathered a couple of tips to get your tailgating day off to an amazing start! The All Star family is rooting for your team. There is nothing better than planning and packing for such an event of this caliber. Bringing a set of prepacked of organized storage drawers is the way to the finish line. Cups, napkins, eating utensils can all be placed in their separate drawers for the best organization out there on the filed. Cozies and bottle openers can also be placed in these drawers as well. Need a place to store sunscreen and insect repellent? This is your place to turn to as well. The toppings for your burgers and sliders should be sliced up in advanced. This will give you more time to focus on perfecting your fine cuts of meat on the grill. A nice aluminum tray will do the trick. 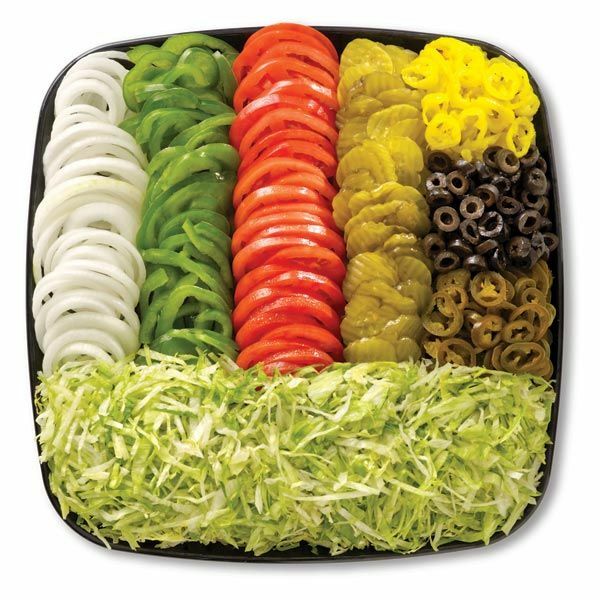 There you can place lettuce, cheese, and tomatoes all in one. It also makes a for nice presentation. Everyone enjoys food that can eat with their eyes first. Ever thought about if you were using your cooler effective and efficiently? You can pack most of your tailgating items using it. Take a look at the graphic below to see how a cooler should be packed. Simple, drinks on bottom and sealed bags on top. We are guilty of packing our cooler ineffective too. As you can see, there are great ways to organize for your big day. All it takes is a little dedication and creativity. These are ways to ensure your tailgating experience is top-notch. These few tips can go a long way and aide in a quick cleanup after the game has ended.